We are being invaded. Surreptitiously, almost without our knowledge, our county is being taken over. But who are these alien intruders? Where do they come from and why are they here? The simple answer is they are plants – plain and simple – most of them from the far side of the planet. Yet, while these are only plants, they are creating massive devastation, driving out native plants, killing bushes and trees and turning formally open woods and fields into impenetrable tangled masses. During the past 30 years, walking the local woods and fields, I have noticed the arrival, establishment and colonization of several strange species. I have observed their gradual spread, along with that of others that had already taken hold many years earlier. 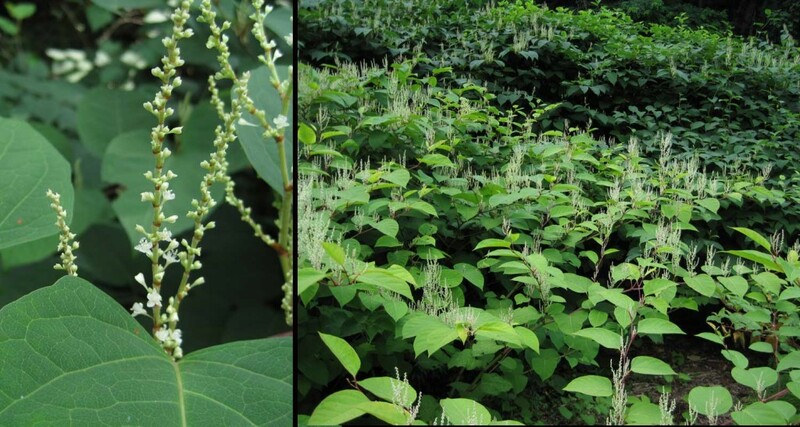 Some of these species are so aggressive that they have taken over large areas, even driving out other invasive plants. But how did they get here? Two words, “nouveau riche”. During the past century, many folks have built their large dream homes with their new found wealth, from working in the financial capital of the universe. Each generation in its time has wanted something different to define them. This often took the shape of landscaping with exotic plants (and often still does). Some of those plants felt so at home in their new environment that they settled in and did what plants do. They spread. But how did they manage to spread all over? 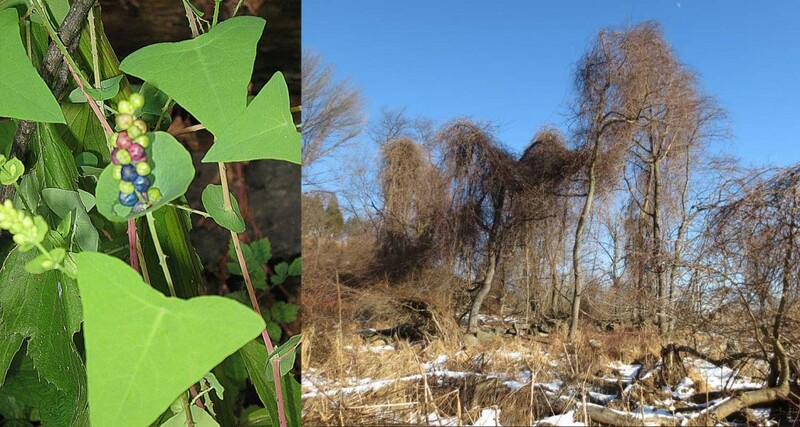 Whether by creepers, rhyzomes or seeds, they travelled and colonized. 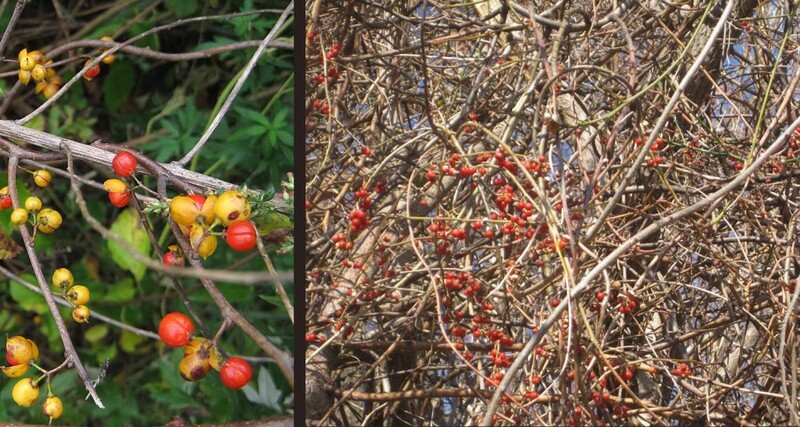 The majority of nuisance plants produce some sort of berry, which provides food for the local bird and animal populations, which in turn drop seed-filled, fertilized pellets across the countryside. Some plants, like garlic mustard are profuse seeders that colonize an area, driving out native plants. Others float on the wind, spreading far and wide. And yet others creep above or under the ground by rhyzomes and pop up in unexpected places to create new plants. 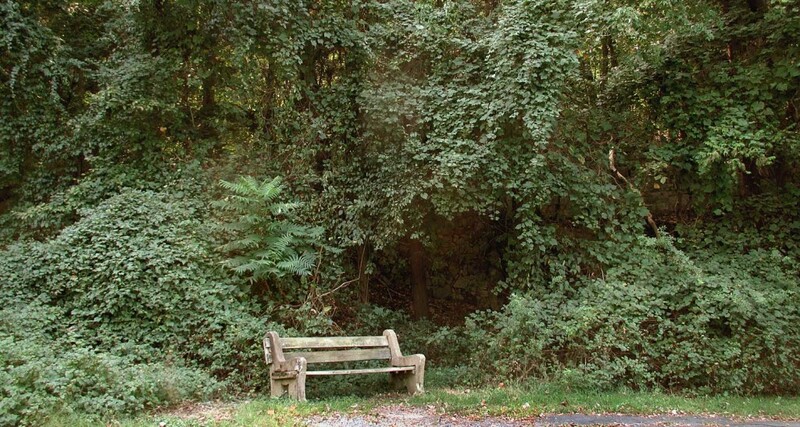 Over the years many different exotic species have been introduced into the region, so that many parts of our county are now almost devoid of native plants. We are left with waves of invasive species all vying for the available space. The upside of all of this is that every one of these plants is either edible or medicinal. Here is a list of the major nuisance species that I have found growing throughout the Rockland area. Most of us who enjoy the woods have mixed feelings about these thorny creatures. 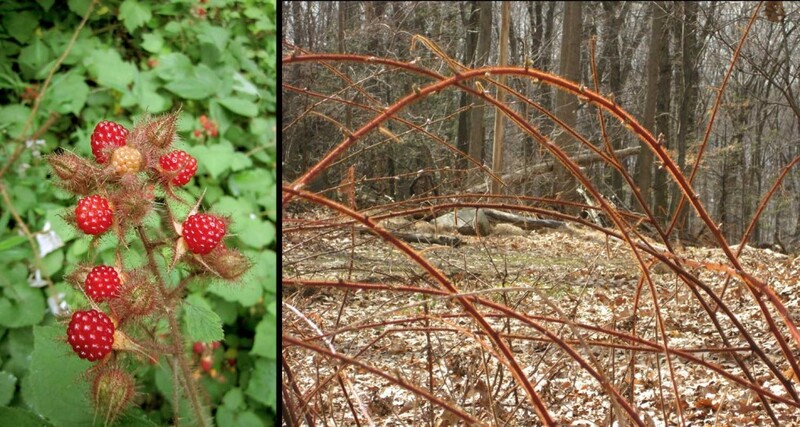 For much of the year the create impenetrable tangles throughout woods and fields. They even create traps, as the tops of the canes touch the ground and root, creating loops to trip the traveller. However, during July all this is forgotten as the bushes present us with clusters of delicious raspberry-like fruits. These thorny little bushes are cropping up everywhere and are quite pleasant to have as part of the landscape. Beginning in the fall they produce red edible berries that last all winter. They are not sweet but can make a colorful addition to any dish. They are also highly valued for their medicinal properties. Barberries produce fruits that are popular in middle eastern dishes. The thorny bushes can spread rapidly. 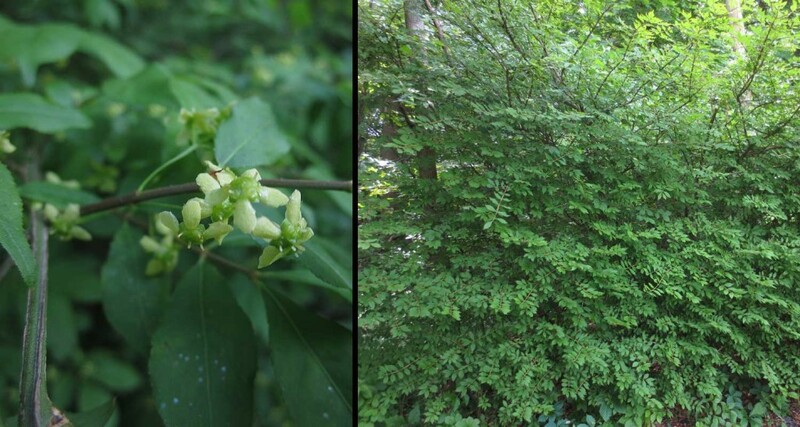 This popular shrub was introduced from China because of its spectacular fall foliage, however it has found a happy home among our woods and is now one of the more common wild bushes in our area. Happily it produces an edible (though not choice) berry. 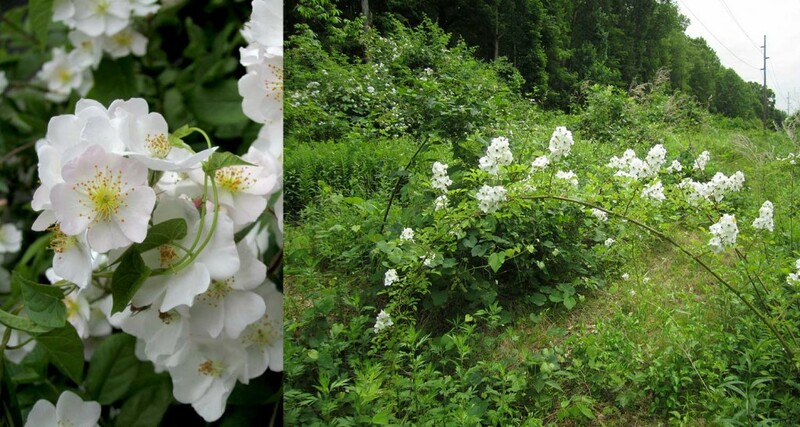 Of all the invasive plants out there I find wild roses to be the most problematic. I am forever snagging my clothes and skin or having articles of clothing (skarves etc) stolen by overhanging branches. The curved thorns that cover the branches are like tenacious little claws, snagging anything that comes within reach. 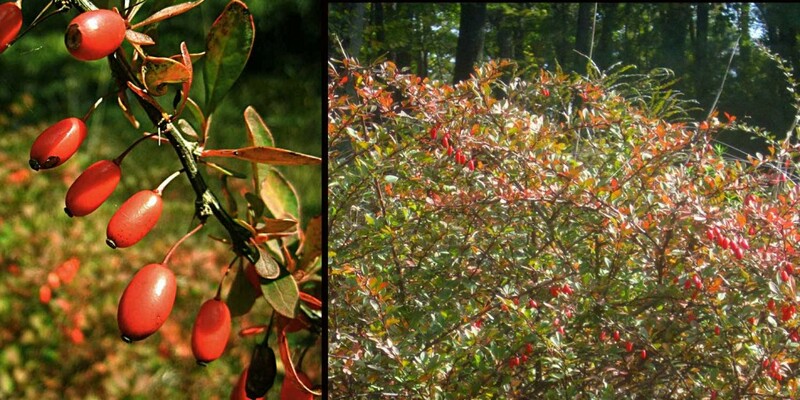 The upside is the fragrant flowers followed by the bright red hips that stick around all winter long. They are very high in vitamins C and E and taste quite pleasant. Possible one of the most beautiful, exotic and insidious plants out there, this cousin of the grape spreads over everything in its path, showing respect for nothing. It will completely engulf bushes trees,fences and buildings, until it is the only living thing in sight. Its leaves and berries are exquisite in shape and color. The multicolored berries are edible but blah. Ideal as an exotic garnish to a dish. This vine with its decorative yellow and red berries is often found in the same locations as grapevines. However, they are easy to tel apart, even withou their leaves of fruit. The grape vines are brown and fibrous, while bittersweet is grey and twists counterclockwise around its host, which often includes other bittersweet vines. Grapes depend on terminal tendrils to anchor them to their hosts. For many years this plant has gone practically unnoticed despite its tendency to take over and kill other species (including trees). It spreads like a mat over the forest floor, climbing anything in its way. As it grows in the woods it is rarely found blooming, so it offers little in return. So far I haven’t found any practical uses for it. Mile a minute is an annual and thus dies back to the ground every year, however, it drops a large number of seeds each year and grows very fast, so it is able to take over large areas in a very short time. It is credited with being able to kill a tree in three years. 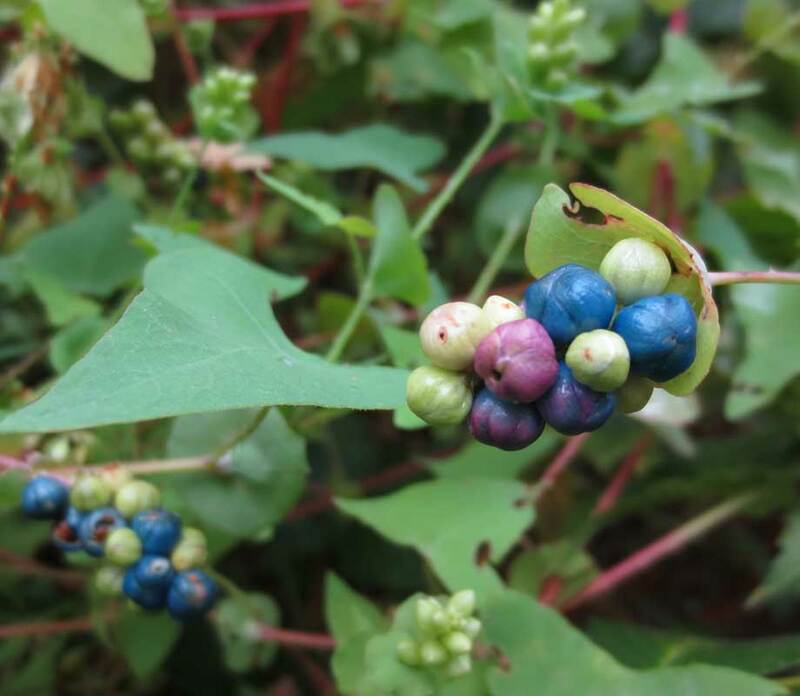 It is distinguishable by its triangular leaves, blue berries growing from leaf cups and a multitude of little thorns on everything but the fruit. It is related to and tastes like sheep sorrel. It can be made into a lemonade like drink or a creamy soup. Despite being an annual, Mile-a-minute spreads s rapidly it will completely cover a tree (ultimately killing it. 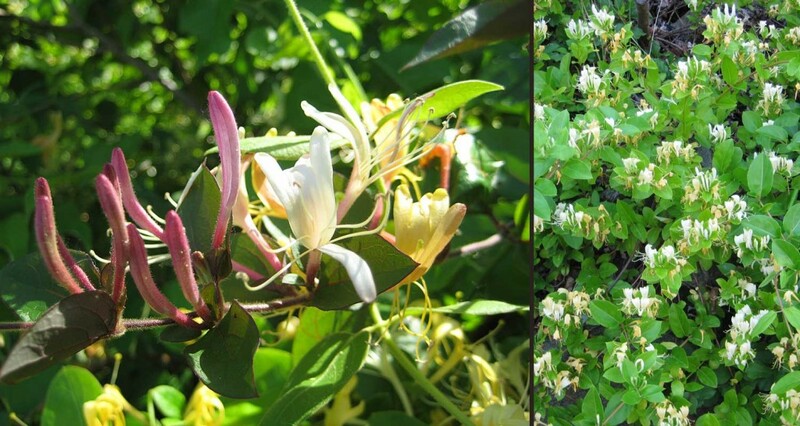 Because of its fragrant flowers, we often tend to overlook how invasive this plant can be. Also overlooked by many are the pairs of black berries that are left after the flowers are done. 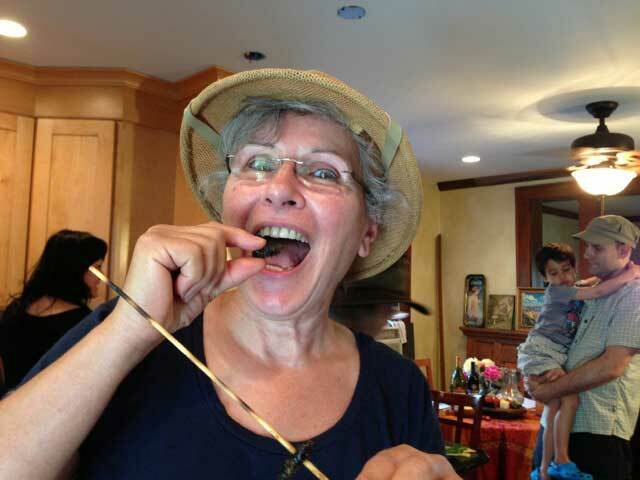 They can be eaten, but aren’t all that tasty. 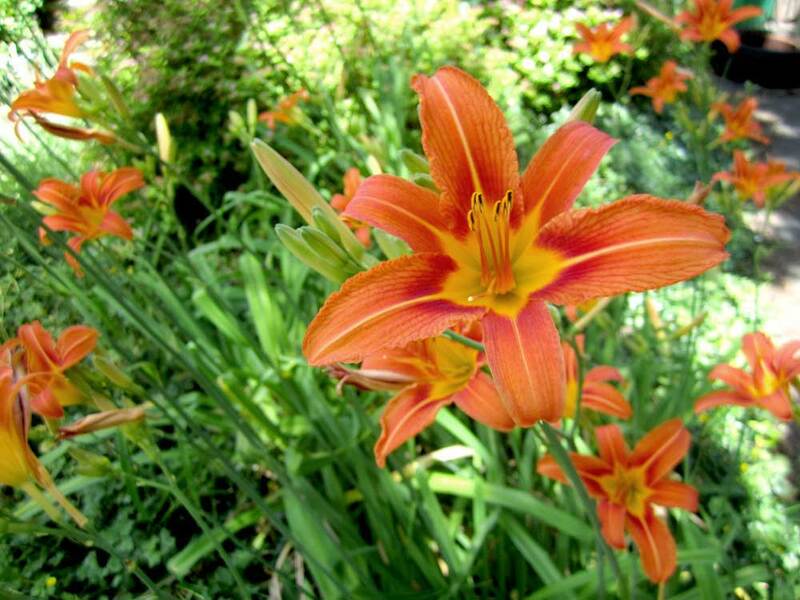 The nectar at the base of each flower on the other hand is worth spending some time enjoying. During the past few years our neighborhood has been virtually taken over by bamboo, such that each spring I find myself harvesting dozens of bamboo shoots. It kills 2 birds with one stone by keeping the bamboo forest under control and providing a great food source. By pickling them I’m assured of having them year round. Of course, bamboo has many other uses. 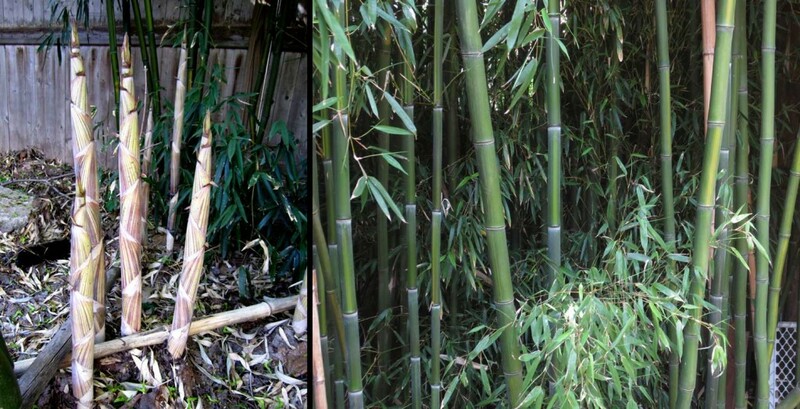 Once established it is very difficult to control the spread of bamboo. 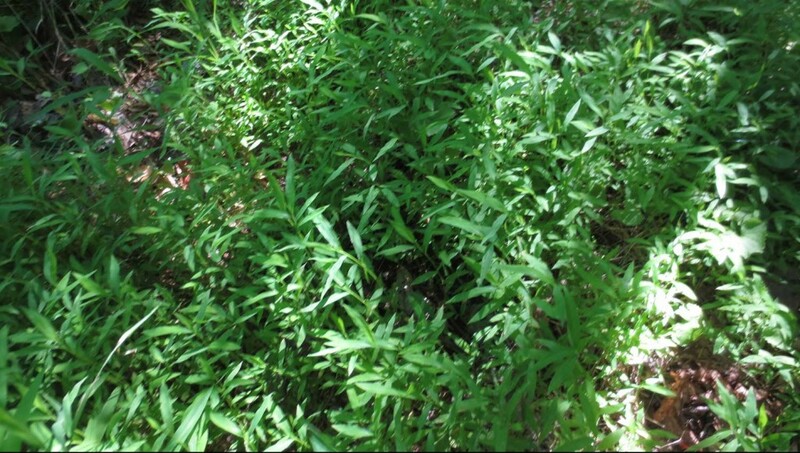 Although this isn’t a grass, it is similar enough to bamboo to be regularly mistaken for it. It covers embankments and waste places spreading via rhyzomes (as well as seeds). 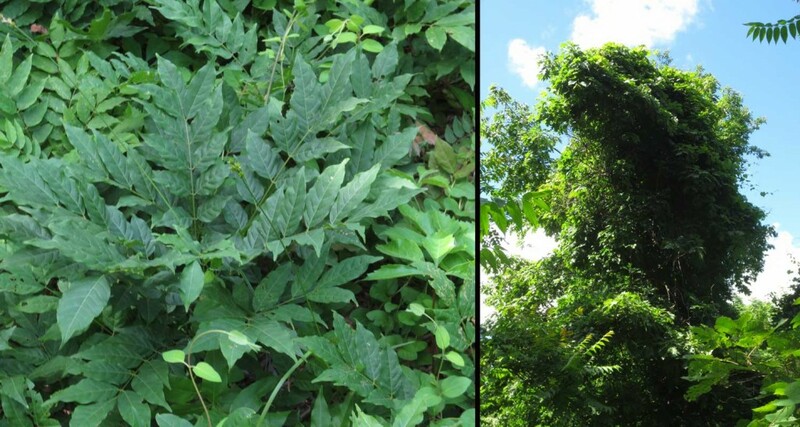 However, this is probably the most important invasive plant in our area. These same pesky rhyzomes are loaded with resveratrol (far more than in grape skins), which has proven very effective in treating Lyme’s Disease as well as many other ailments. The young shoots are edible and taste like rhubarb. Ten years ago our woods were carpeted with dead leaves year round, broken up by the occasional plant. With all that acid leaf mold, regular grasses were discouraged from growing, then came Japanese stilt grass, which appears to have no problem with acid soil and the low lighting under the canopy. Today, many areas are carpeted with this low growing species, which still allows local plants to stay around, so as far as being an invasive is concerned it ranks pretty low. This is by no means a complete list of the invasive that are taking hold of the county. They illustrate what a serious problem these species have become, and a foretelling of problems yet to happen. The unfortunate reality is that it is actually too late to turn this problem around.